CFK was born out of an unlikely friendship between Rye Barcott, Tabitha Festo, and Salim Mohamed in the summer of 2000. The mix of an undergrad at the University of North Carolina, a widowed nurse, and a community organizer created a power team capable of bringing about change in Kibera. Bringing their diverse experiences to the table, each co-founder found ways to channel their passions through CFK. As a U.S. Marine and a student, Rye understood the importance of both protecting residents from violence and advocating for education. As a nurse and Kibera resident, Tabitha understood the daily struggles that Kiberans faced and sought to provide better access to health care across the settlement. And through his work with MYSA, the largest youth sports program in Africa, Salim understood the value that sports could provide to the youth of Kibera. 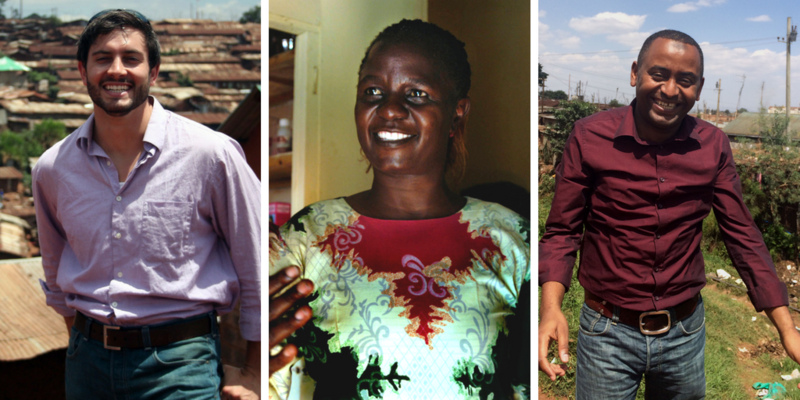 Driven by local needs, the three co-founders launched our mission to develop local leaders, catalyze positive change, and alleviate poverty in Kibera. Not just as friends, but as visionaries, they laid a path for a collaborative network of programs which advance health, education, ethnic cooperation, gender equality, and economic empowerment by equipping local leaders with tools to strengthen the community. Learn more about CFK's beginning in Co-Founder Rye Barcott's memoir, It Happened On the Way to War. Since its humble start, CFK has expanded its programs even further than its founders could have imagined. In 2002, Tabitha opened Rye Medical Clinic, our first medical clinic, to help increase access to healthcare in Kibera. It was the only clinic in Kibera operating 24 hours a day, 7 days per week. In an effort to promote healthy practices and to deliver a broader continuum of care, we expanded our health program to include home health visits and health education. Our Community Health Volunteers (CHVs) and Youth Peer Providers (YPPs) are essential to the delivery of community wellness initiatives. In 2007, CFK expanded and relocated the clinic to the center of Kibera, re-naming it the Tabitha Medical Clinic. In its first full year providing healthcare services in partnership with the U.S. Centers for Disease Control and Prevention (CDC), Tabitha Clinic served more than 35,000 patient visits, averaging about 140 residents daily. The clinic serves as a landmark where Kiberans can access a variety of services such as HIV/AIDS testing and counseling, immunizations, and family planning counseling. We believe educated, socially responsible leaders are fundamental to building a strong community. With a focus on leadership development, we have used a wide variety of social-oriented programs with Kiberan youth to foster gender and ethnic understanding, build self-confidence, develop leadership skills, and promote community service. Our CFK Sports Association has organized over 20,000 soccer games, bringing together various ethnic groups without a single instance of violence. Launched in 2002, our Binti Pamoja | Daughters United Core Program, empowers young women in Kibera by creating safe spaces in which they feel free to express themselves and explore issues that are prevalent in their lives. By investing in student development, our Angaza Education Program provides scholarships, mentorship, leadership training, and counseling to boost overall student success. 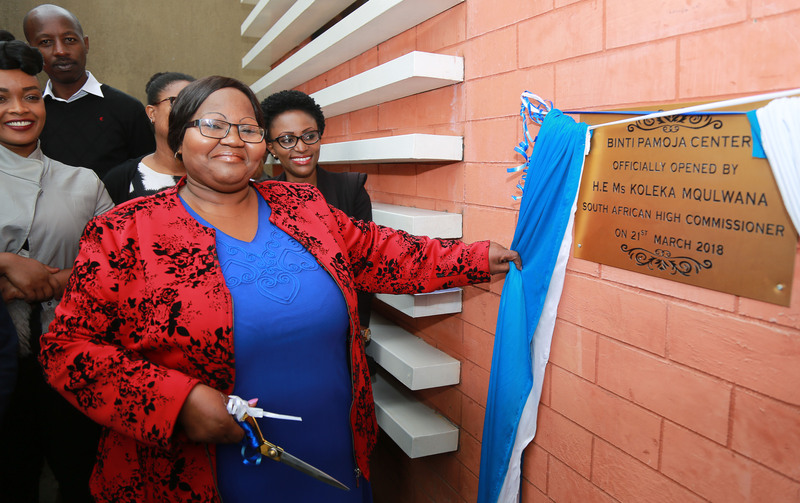 Our new Binti Pamoja Center and administrative office opened its doors to the community in March 2018. However, there is still more work to be done. CFK continues to alleviate poverty and dispel inequalities within informal settlements, aiming to foster a culture in which everyone has the resources to realize a brighter future. We are committed to forward momentum and the continued success of our work.